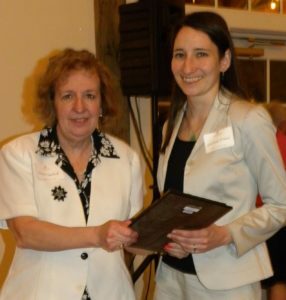 Attorney Lindsay O’Neil received the Nast Pro Bono Award at the Lancaster Bar Association annual member dinner on May 6. The award is given each year by the LBA to the attorney who most distinguishes herself performing pro bono work. Lindsay’s pro bono work is primarily in the area of employment law, where she represents clients who have experienced workplace discrimination or wrongful termination, or who are applying for unemployment compensation. She has also represented clients in matters involving litigation.